Second lining on the anniversary of Hurricane Katrina was not something I wanted to do. Nearly all the umpteen parades I've led in these couple of decades of second lining in Shreveport have been performed to recorded music. Recorded music is a necessity in many situations. But for a serious occasion like Katrina - and at a musician's forum - I said I would dance only if there was live music. Happily, I was talking to producer Julia Foley, a can-do woman, and she connected me with Steve Allen, man with a horn. Steve, on sweet and powerful alto sax, with me and Jerry Davenport, originally from the Ninth Ward, New Orleans, led the line at the forum and it felt terrific. Said busy musician Allen,"It was fun to play, especially on the anniversary of the storm. From there I went to Centenary, where my partner in my jazz group - Doug Rust - was having his faculty recital. It was actually really a blast, he's the jazz guy there and he proved it. I was on part of the performance for 5 pieces. Not easy pieces, either." Musicians who want to play, please drop me a line or call 318-861-6809. Needed are a bass drummer who can bang a cymbal atop the big drum as well as a snare, tuba and lead instrument such as clarinet, trumpet or sax. A banjo would not be turned away. The pay would be union scale. Be ready to march while playing Crescent City basic repertoire. 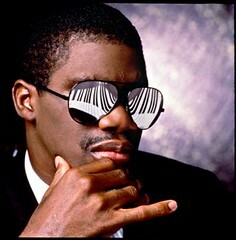 Adds Allen, "I'll be standing by for exciting, worthwhile and lucrative (not necessarily in that order) musical ideas." Krewe-types, call to book this mythical marching group. 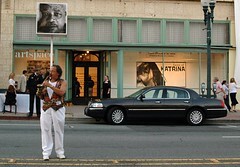 At Artspace, we want this group for the closing of the Faces of Katrina exhibit. PS, wrote Allen: "Doug Rust and I are at Noble Savage Friday night. Please come and enjoy and bring the wife, too." 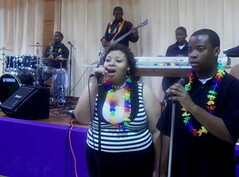 Intuition's lead vocalists are Cameron Johnson and Elise Gardner and background singer is Adreana Harvey, says Ken Latin of the young group. The keyboardist is Brent Latin, drummer is Zack Burton and guitarist is Joseph Harrison. They have performed in the Red River District, Holiday Inn-Dowtown, Let the Good Times Roll Festival, parties, weddings, anniversaries and other events.They will be playing at the Red River Revel in October. A variety of music comes from Intuition: jazz, rhythm and blues, old school classics, soft rock, gospel and hip-hop. Each of these performers has been playing or singing since childhood. Brent Latin, keyboardist, played with Byrd High School Jazz Band and currently plays with the Centenary Jazz Band. 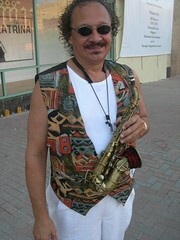 He has played with Freddie Pierson and other well-known musicians . Zack Burton, the drummer, is a highly skilled percussionist and perfectionist. Intuition has their own style and presence, says Latin, but also does well imitating the artist they are representing. Fans have said "if you closed your eyes, you would think it was the actual performer who was doing the playing and singing." The lead singer, Cameron Johnson, has a voice that transcends time, adds Latin. To book them, call Ken Latin of SciPort at 424-8679 or 422-0876. Musicians Forum #2, says Julia Foley, will be Tu, Aug 29th, at LSUS Student Center in the Ballroom, 2nd Floor. She says, "We'll kick off at 6:30 pm with networking time to meet and greet new and old friends. At 7:00, we are going to pay tribute to New Orleans musicians, since it will be the anniversary of Katrina that day and we have a special guest coming up from New Orleans to perform an original song about surviving Hurricane Katrina and that is DC Sills. We also have some other performances and a live music second line led by Robert Trudeau to the sax wail of Steve Allen. 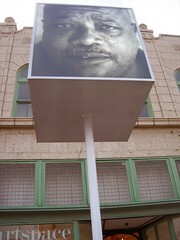 He is to be joined by Jerry Davenport, a local artist who was raised in New Orleans' ninth ward. At 7:30, our panelists will start by sharing and answering questions about Shreveport's music scene, their venues and what they need from local artists to grow our community and their businesses. Panelists will include Tabitha Taylor (booking agent for El Dorado Casino), Mary Martin (Clear Channel radio host), Sharon Bryant (Shreveport Sound Syndicate), Ron Stroope (Podcast expert), Danny Alan (Manager of the newly opened Theater and Hall of Fame), Eric (Noble Savage artist bookings) and many others. All area venues are invited to attend and participate. At 8:30 it will be done. For more information, you can call me, Julia Foley, at 402-2398. Far from rich enough to attend Burning Man festival, I can still afford to watch a documentary about the edgy crowd of producers that assemble each pre-Labor day week in the Nevada desert. So I will watch a Burning Man movie on Oct 7 , 4 pm, at Centenary College. It's the award-winning movie Burning Man: Beyond Black Rock. Among the movie's producers are former Shreveporters Michael Wilson and William Haskins, says Chris Jay. Wilson graduated from Woodlawn High School in 1988 and now lives in Austin, Texas, wrote Alex Kent in the Times. Wilson was co-producer and assistant director for the movie. William Haskins, the documentary's co-producer and story supervisor, is also from Shreveport. He graduated from Woodlawn High School in 1984. You'll see on the gorgeous movie website, burningmanmovie.com, that both these burners are successful in digital media and actually once attended LSU. Burning Man: Beyond Black Rock is a presentation of the Centenary Film Society and Robinson Film Center. Michael Wilson will chat with the audience following the screening in Kilpatrick Auditorium. Admission is like breakfast at Burning man: free, because it's being provided by someone wealthier than you. Do you know any burners? What do you think of the sculpture so expensively assembled on this glamorous, clothing-optional desert plain? "Gershwin on Fire" is the title for the Shreveport Symphony Orchestra's season opening concert. While "Gershwin on Fire" may be a dubious title (is it a nod to the Burning Man arts fest? ), the jazz trio sharing the lights with the SSO is not at all dubious. They are redoubtable. 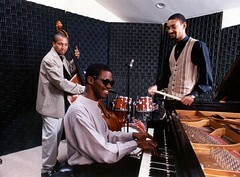 It is the Marcus Roberts Trio. To fans of jazz piano, like me, seeing this trio is serious fun. Roberts, a pianist and composer from Jacksonville, Fla., grew up with the sound of music from his local church where his mother was a gospel singer, says the National Academy of Sciences. He decided to pursue a career in jazz after hearing a Duke Ellington recording at the age of ten. 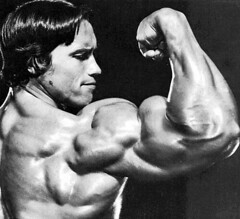 From there he went on to study at Florida State University. Performances throughout his career have earned him a great deal of recognition, including awards from the National Association of Jazz Educators and the Thelonius Monk International Jazz Competition. Roberts was particularly honored to receive the Helen Keller Award for Personal Achievement in 1998. The artist has been blind since the age of five, seven years before he began formal training on the piano. Drummer Jason Marsalis, true to the tradition of his highly musical family, is known as one of the most capable drummers performing today. Bassist Roland Guerin learned to play a variety of stringed instruments growing up in Baton Rouge, Louisiana. He is also known for playing a variety of styles with equal versatility, and is one of the few bassists today who plays slap bass technique. "My music is meant for everyone, not just those who already know about jazz," says Roberts. More about the concert, the SSO's season opener, at shreveportsymphony.com. Also, please see my earlier post on the concert. Originally uploaded by El mapache azul. Ballet Under the Stars, presented by the Shreveport Metropolitan Ballet, will be held Saturday, September 9, in downtown Shreveport’s Festival Plaza, at 7 p.m. Admission is free, says Susan Gross. A variety of dance styles ranging from ballet to jazz and modern dance will be featured. The dancers of the Junior and Senior Companies of Shreveport Metropolitan Ballet will perform alongside those of other regional dance troupes. Also, the River Cities Jubilee Chorus will perform several vocal selections. Guest choreographers for the show include Yves de Bouteiller and Jenny Siu-kan Chiang. There will be a special salute in honor of the 250th birthday of Mozart. During intermission, children in the audience will be invited to perform onstage. Concessions will be available for sale. This event is sponsored in part by a grant from the Community Foundation of Shreveport-Bossier and by a grant from the Shreveport Regional Arts Council with funds from the City of Shreveport. For further information, call the Shreveport Metropolitan Ballet office: 459-1457. Faces of Katrina opening reception mobbed; who knew flood victims would prove so popular? Bill Joyce, Artspace artistic director, and Pam Atchison, director of Shreveport Regional Arts Council, were elated at the mob which attended the Faces of Katrina opening. Mingling in the sea of usual suspects were Katrina evacuees, some of them bewildered by the hoopla. In the photo above are Janice Nelson, Bill Joyce, Laura Harter and Pam Atchison. Please see ShreveportFaces for a series of photos snapped at the gig. During the week, students from Webster, Bossier, Lincoln and Caddo parishes will visit Artspace with their teachers. On weekends and afternoons parents can take their kids to the dramatic exhibit called Faces of Katrina. These artists will aid them as they enjoy a couple of the 9 exhibits designed for youths. 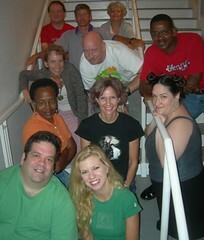 From left front: Steven Sofer, Jamie Dromgoole, Tamura Davenport, Linda Gaston, Karen Wendt, Judy Hegrle, Robin Jenkins, Jerry Davenport, Michael Neal Philips, Tony Kean and Jane Heggen. Artspace is open Thursday, Friday and Saturday, 10 - 6. The Kidspace FunArtorium is open 10 - 12 and 2 - 4 on Saturday. An exhibit of powerful portraits from the evacuation of New Orleans opens Fri, Aug 25 at Artspace. Designed by moviemaker Bill Joyce, the exhibit aims at informing viewers and elevating the status of the people flung out of the hurricane-raked city. The Faces reception begins at 7 pm Friday. Along with the photographic work of Kathryn Gaiennie, Stan Carpenter, Mike Silva, Talbot Hopkins and Philip Gould, there are materials developed by Mike McSwain and Bill Joyce. Downstairs are clipboards, foil, video and costumes. These are elements of the art activities designed for students on school tours or on weekend visits. These projects were developed by a veteran teacher and writer: me. I had the good fortune to have a deeply thoughtful project manager in Wendy Benscoter. Encouraged and guided by SRAC director Pam Atchison, the art-making side of Katrina has some 9 stations. It has already been booked by school field trips for a total of 200 students, says new SRAC education manager Julia Foley. Centenary's freshman English students will also be asked to visit Faces of Katrina, says Dr. Lisa Nicoletti, a Centenary professor and member of the Artspace exhibition committee. Also terrifically helpful in assembling the artivities were Duane Rousseau and Michael Neal Philips. The faces soundtrack festures solo piano tunes written and performed by Steve Ramey and a gospel tune, "I'll Go," from singer Monica Blake Mickle's album Perfect Peace. 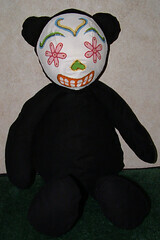 Donna, long known in my column as wife of artist Leland Strebeck, has arrived with a DayoftheDead bear sure to grab attention. And the family web site is cool. It's cheerful, but with an edge. Watch for work from both of them in the Bubble Rap II show, curated by Michael G Moore (please see an earlier post on submissions to Bubble Rap). Cuba Plastica features artwork by 10 artists living and working in Cuba, says meadows Museum of Art, Centenary College, Shreveport. It is one of 3 new shows at Meadows. Presented are paintings, drawings, videos, photographs and prints by Juan Carlos Alom, Agustin Bejarano, Zaida del Rio, Juan Roberto Diago, Roberto Fabelo, Alicia Leal, Guillermo Malberti, Juan Carlos Menendez Ruiz, Cirenaica Moreira, and Juan Moreira. Their art translates the daily struggles and suffering of everyday Cuban life into personal artistic responses. This exhibition was organized and circulated by the University of Richmond Museums and is made possible in part with the support of the Associated Colleges of the South. Open from noon to 4 p.m. on Tuesdays, Wednesdays and Fridays, noon to 5 p.m. on Thursdays and 1 to 4 p.m. on Saturdays and Sundays. It is closed on Mondays and some holidays. There is no admission charge for the current exhibits. Contact Museum Director Dianne Dufilho at 318-869-5169. La Public Broadcasting has productions to remind us of where we've been this past year. 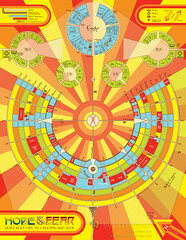 If we're fortunate, these programs will enlighten our thinking on where we must go next. And please don't forget that Bill Joyce and his Artspace team - which includes my wife, Talbot, and me - have an experience for you called Faces of Katrina. It opens at Artspace with a $20 per ticket reception Fri, Aug 25. Please come to see our work. Artspace, 710 Texas, has been again transformed. More info at SRAC: 673-6500. Louisiana’s only weekly newsmagazine kicks off its 30th year on the air with a one-hour look back at how Hurricanes Katrina and Rita have disrupted the lives of many of the people and places in South Louisiana. LPB poured all of its resources into bringing the people of the state the in-depth stories of the survivors and their families, the government and its response; and the massive effects on our culture and livelihoods. Join Robyn Ekings and Charlie Whinham as they journey through the one year path of destruction and reconstruction during this anniversary of the storms to end all storms. This new LPB documentary looks at six Louisianians and how hurricanes Katrina and Rita affected the coastline, their land and their livelihoods. The characters share their stories and their knowledge of the larger impacts of coastal land loss on the environment, wildlife, economics, industry, culture and community. The participants include New Orleans chef Leah Chase; Errol Domingue, a third-generation sugar cane, rice, cattle and crawfish farmer from Erath; Preston Doré, a shrimper from Delcambre whose seafood restaurant, bar and distribution business were destroyed by Rita; Marlon Horton, a 26-year-old New Orleans East resident displaced to Houston; Port Fouchon port director Ted Falgout; and Kerry St. Pé, a marine biologist and Director of the Barataria-Terrebone National Estuary. Check www.lpb.org/washingaway/ for educational materials. LPB appreciates the support of the America's Wetland's Foundation which provided the underwriting for the development of these resources. In the wake of the hurricane Katrina, Don Vappie -- musician, bandleader, Creole -- struggles to find work and his cultural identity in New Orleans. This documentary follows Don as he tries to keep his band together and bring musicians back to the city. Through his journey Don also begins to question what makes a community, and whether the culture he grew up in can survive, not just the storm, but its aftermath. Rich with music, the film features performances by numerous stars of New Orleans jazz, as well as Don’s far-flung, talented family. When Hurricane Katrina’s high winds and floodwaters knocked out the major hospitals in New Orleans, medical personnel stayed with the hospitalized children and expectant mothers until they could be transported to Women’s Hospital in Baton Rouge. This LPB documentary tells of the heroic efforts by Women’s Hospital personnel to not only get these fragile babies and expectant mothers out of New Orleans but to handle their medical and personal needs at their own facility in Baton Rouge. Gershwin on Fire is the name of the opening show of the Shreveport Symphony Orchestra. New SSO conductor Michael Butterman has invited the enormously cool pianist Marcus Roberts to help the orchestra open the season, says Shreveportsymphony.com. Roberts has recorded a ton of great albums. My favoprite is Alone With Three Giants, a solo piano album based on tunes by Ellington, Monk and Jellyroll Morton. Roberts once played in Wynton Marsalis group. Today his trio includes Jason Marsalis, brother of Wynton. May I recommend the symphony's Anytime Tickets? That's what I've found perfect for my family. Here's how SSO marketing director Scott Green puts it: "Buy Anytime Tickets for Flexibility. Don't put off buying your Symphony tickets because of scheduling difficulty. Our Anytime Ticket Package provides you with six vouchers you can redeem for tickets to any concert - except special events concerts. You can use all the vouchers at once, or spread them out over several concerts. To redeem them for tickets, just call in advance. We'll reserve the best seats available. Cost for the six-vouchers Anytime Tickets Package is $192. You get all the privileges of a season subscriber plus up to 20% off the cost of single tickets." Scoopt.com, a British Web site that sees itself as a “citizen journalism agency,” is connecting camera phone reporters with newspapers, says the NY Times. "The site’s founder, Kyle McRae, a former freelance technology writer, counts the major British dailies, along with newspapers on the Continent and in the United States, as his clients. Unlike Bild, Scoopt’s reader-reporters license their photos for three months to Mr. McRae’s organization, and in return receive 50 percent of the sale price every time Scoopt sells a picture. The Web site has members in 90 countries, and Mr. McRae talks of a day when a global legion of bloggers and camera phone reporters replaces journalists in covering major news events. That's from the NYTimes story Amateurs Get In on the Paparazzi Beat. Ruston’s Dixie Center For The Arts will play host to the legendary Leon Russell on Fri, Aug 18 at 8 pm, says producer Trey Merrill. A portion of the proceeds will be going to the Tipitina’s Foundation, which aids those musicians affected by the 2005 hurricanes. Leon will be joined by both Kenny Bill Stinson and Susan Cowsill. Primarily remembered as a classic rock artist, the Leon Russell/Willy Nelson album “One For The Road” was honored by the Country Music Association as "Best Album of The 1989." 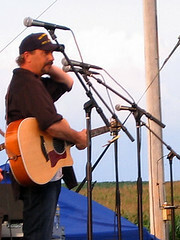 Leon has written such songs as "This Masquerade", “Superstar," "A Song for You," “Tightrope,” “Lady Blue,” and “Delta Lady” which became Joe Cocker’s biggest hit. Susan Cowsill will be opening the show. Formerly of “The Cowsills” and “The Continental Drifters” which featured her former husband Peter Holsapple (of The DB’s and REM) as well as Bangles guitarist Vicki Peterson, Susan was a member of Dwight Twilley’s band and has lent her vocals to albums by such artists as “Hootie & The Blowfish”, “Giant Sand”, “the Smithereens”, “Carlene Carter”, and “Jules Shear”. Concert promoter Trey Merrill met Cowsill when he produced the debut album for the Louisiana college rock act “Benjy Davis Project” which she sang on. Cowsills' debut CD “Just Believe It” features both Lucinda Williams and Adam Duritz (of Counting Crows). She highlighted the release by performing at this years New Orleans Jazz Festival. The show is open to all-ages and tickets are $32.50 and $38.50. With the limited number of seats being sold (550), Merrill says there’s not a bad seat in the house. Rachel Ginsberg Stone had a conventional looking diner - A Stone's Throw Cafe - until she sat down to work on a blank wall with painter-sculptor Thomas Little. The result of their planning was a droll trompe l'oiel mural ("fool the eye"). Seems to me it carries a hint of Austintation. Seems to Debbie Engle, one of the founders of West Edge Artists Co-op, that Little's mural brings glory to the co-op. She writes of the group, "Check out our Citywide Gallery Program exhibits at Christus Schumpert's Integrative Medicine Clinic, Stone's Throw Cafe', Bistro 6301, and Marjorie Lyons Playhouse. 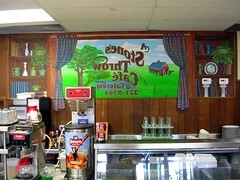 Be sure to visit WEACo member Thomas Little's mural at Stone's Throw Cafe' - it's absolutely fabulous! Coming down the pike are huge shows at both Harrah's Horseshoe Hotel and the downtown Convention Center. We've juried in several new artists lately: Jamie Sanders, LaShea Brittain, Lena Hall, Alice Guerrero, Suzie Paulovich and Reba Neel, among others. West Edge Artists Co-op is growing exponentially it seems, and our gallery will be open before you know it. 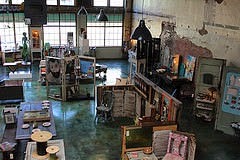 We will curate the largest, privately-owned gallery in downtown Shreveport. Friends of WEACo are welcome to stop by 725 Milam Street on Saturday mornings while we're working on renovating the space." Originally uploaded by Tall Fool. Adrienne Critcher writes to her gang, "Thank you to everyone who attended Political Action Council for Equality's Shreveport Mayoral Forum last night. The 85 seats in the auditorium were filled and the crowd spilled out into the lobby of the Deaf Action Center. David counted 120 there. It was a great crowd. Representatives from the local TV stations, The Times and The Forum were there. Seven of the 11 candidates participated in the panel, with 1 showing up after he got off work. It was an enlightening event. Very importantly, the candidates and the audience treated each other with respect even on matters on which we obviously disagree. I want to make 2 main points about the forum. First, even the most extreme candidate on Lesbian/Gay/Bisexual/ Transgender issues did not use our event to gleefully proclaim his or her opposition to our interests. For example in their answers to the question on the 2004 constitutional amendment, there was considerable "tap-dancing", claims of forgetfulness about their vote, and even those who admitted voting for the amendment discussed either the difficulty in arriving at that position or qualified their vote with the assurance that they don't support discrimination. Of course all of us realize the contradictions here, and I am not trying to soft-pedal their responses, but no one was there to throw red meat to the radical religious right. In NW Louisiana, you acknowledge that small step in the right direction. And the candidates knew the media was there, so this wasn't just an attempt to try to appease the audience. Second, after the forum we all got an opportunity to visit with the candidates during the social time. The last of us didn't leave until around 8:30. We made perhaps some of our best points during these individual visits. My husband, son and I all had good respectful conversations with various candidates and their spouses in which we presented them with information that they had obviously either not heard or considered before. We found them willing to engage in a meaningful dialogue. I watched as many of members of the audience did the same. I now believe that I can have a rational conversation with any of the serious candidates, one of whom will be our next mayor. Many thanks to Rodney Grunes for his very professional job as our moderator - and for keeping a straight face during Madjun Ali's stand-up comedy act. Well, no one could keep a straight face during all of that. And during Vernon Adams' statement that only those who had accepted Jesus as savior would be appointed to city committees/commissions if he were elected mayor. See what you missed if you weren't there! Most of all thanks to you who came out to support PACE's first public forum. We showed the candidates that we exist, that we have legitimate concerns, that we are a thoughtful, knowledgeable group. PACE has come a very long way, and has done so in one of the parts of the country most hostile to LGBT issues. With your help we will continue to make our presence known, and to change hearts and minds and lives." Times writer Joel Anderson penned an issue-oriented account of the PACE forum that I enjoyed reading. And the Times says the next mayor's forum is Wed, Aug 16, LSUS Science Lecture Hall, 4 to 6 pm. It features moderator Tom Pace (no relationship). "Hello," says singer-keyboard player Sandra Odom, "to all music lovers! After what seems like a long break, Fairfield Studios Home Concert Series is going to be coming at you hot and heavy from now through next May. I've heard so many things about Pierce Pettis I don't know where to start. His music takes me back to a place of innocence and security and warmth, of something I could count on as a child. Our friends Michael & Kendra Terry of Uncle Calvin's Coffee House in Dallas call him "One of modern folk music's most important artists. Pierce's Deep South heritage influences his songs of treasured emotion, spiritual inspiration and a belief in the promise of a new day. Percussive urgency often frames Pierce's dexterous finger picked guitar works and his eloquent melodies linger long after the listening." 7:00 p.m. come early to get a good seat. Non-alchoholic beverages will be served. 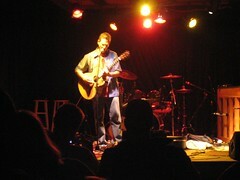 Feb. 9, Friday: Billy Jonas: kickin' solo "Stomp"-style percussion & song. Gigantic photo murals - faces, maps, newspaper pages, aerial views - are soon to be added to the new walls built this week at Artspace, 710 Texas St. The warren of exhibit walls and mural-like portraits of Katrina evacuees were designed by moviemaker/author/illustrator William Joyce. 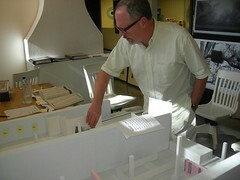 In fact, Joyce is planning to immerse visitors in the somber - if somehow appealing - world of New Orleans after the deluge. Though he has a new movie coming out (Meet the Robinsons, Disney Pictures), Joyce seems to haave been mesmerized by the plight of the Crescent City. It is a community he says is still digging out from the shock of dislocation and loss. The exhibit is based on the photography of Stan Carpenter, Kathryn Gaiennie, Philip Gould, Mike Silva and Talbot Hopkins (who is my wife). In October and November, 2005, the photogs slipped into Shreveport's shelters to capture the visages of people in the whirlwind of displacement. Shreveport Regional Arts Council sent interviewers to record the stories told by those photographed. Additional photography and a wide range of materials have been added to the mix to make Faces of Katrina. The Artspace show opens with a reception at 7 pm on Friday, Aug 25. Tickets are $20 in advance, $25 at the door. Hosts are Steve Ross and Mark Hermasillo. Also sponsoring the show is Bill Robinson and The Times. 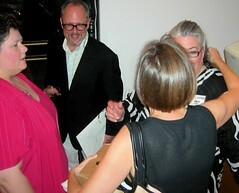 Coordinating the exhibit is the hardest-working woman in the gallery business, Pam Atchison. One of the generous donors in the effort to commemorate the flood and displacement of Louisianians is Ridgways Inc, printers at 719 Marshall. * store projects and open them up at home or in the library or your mom's office or grandfather's house. * store writing Or powerpoint-type projects. They replace the diskette. Diskettes are frustratingly easy to damage and quick to fail. Saving to a CD usually means the material is frozen. 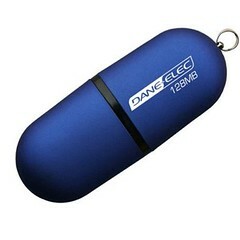 A flash drive lasts years and is endlessly erasable and loadable. I've used 2 of them for maybe 3 years now - a 128 mb and a 256 mb - and they're super effective. One way I use them is transfer material from my desktop computer to the laptop. I often move projects from home to work on a flash drive. See background on the flash drive at wikipedia.org. There is a cheap alternative: send your material to a site such as Yousendit.com. They will store a large file for one week, free. You can download it anywhere. Not quite the same utility and ease of a USB drive, but an important item to know. 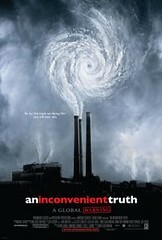 Regal Cinema Bossier lists Inconvenient Truth on Th, Aug 10, but does not show it as being screened Fri or Sat.